Navy Blue Top Grain Leather Chestnut Wood Base Series 2 Classic Perfect Chair Zero Gravity Power Recliner by Human Touch - Zero Gravity Classic Series 2 ergonomic orthopedic recliner chair. The zero gravity position cradles your back and elevates your legs above your heart, which is the position that doctors recommend as the healthiest way to sit. 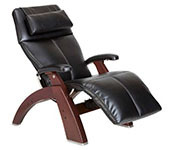 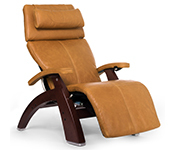 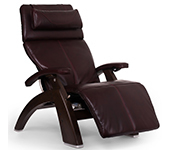 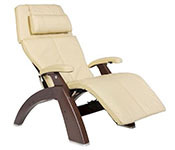 Navy Blue Top Grain Leather Chestnut Wood Base Series 2 Perfect Chair Zero Gravity Power Recliner by Human Touch - The zero gravity position cradles your back and elevates your legs above your heart, which is the position that doctors recommend as the healthiest way to sit. 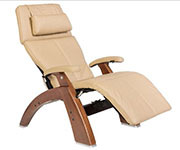 Easy ingress and egress are achieved with the extended range of motion in the upright position. 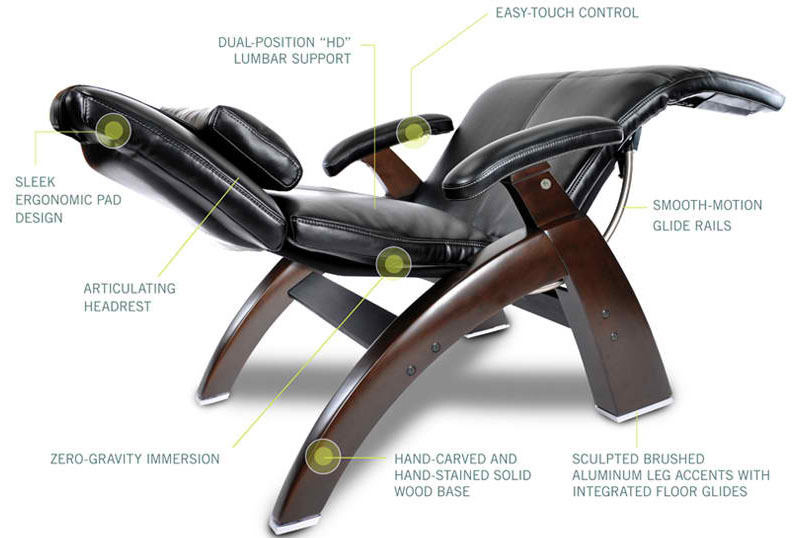 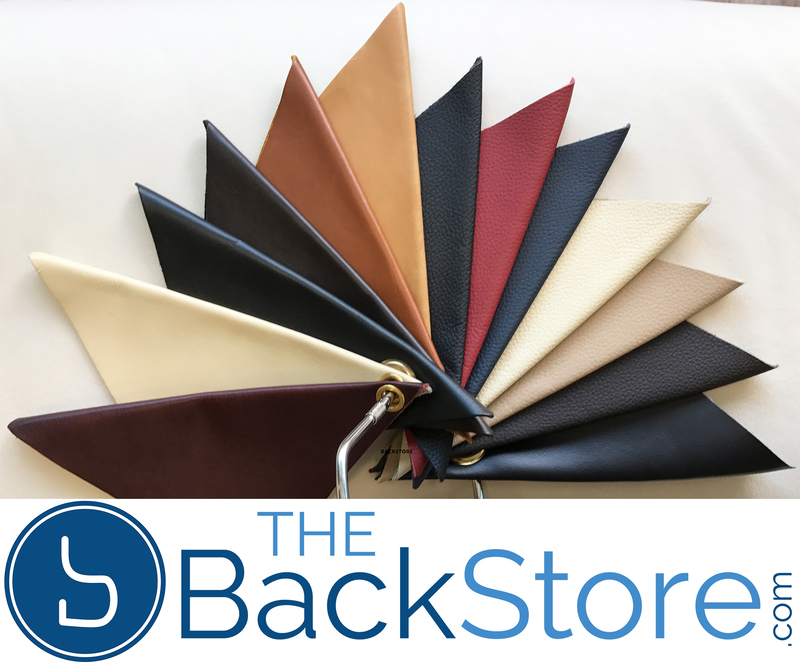 Exclusive Features Patented Orthonomic� body frame with built-in lumbar curve. 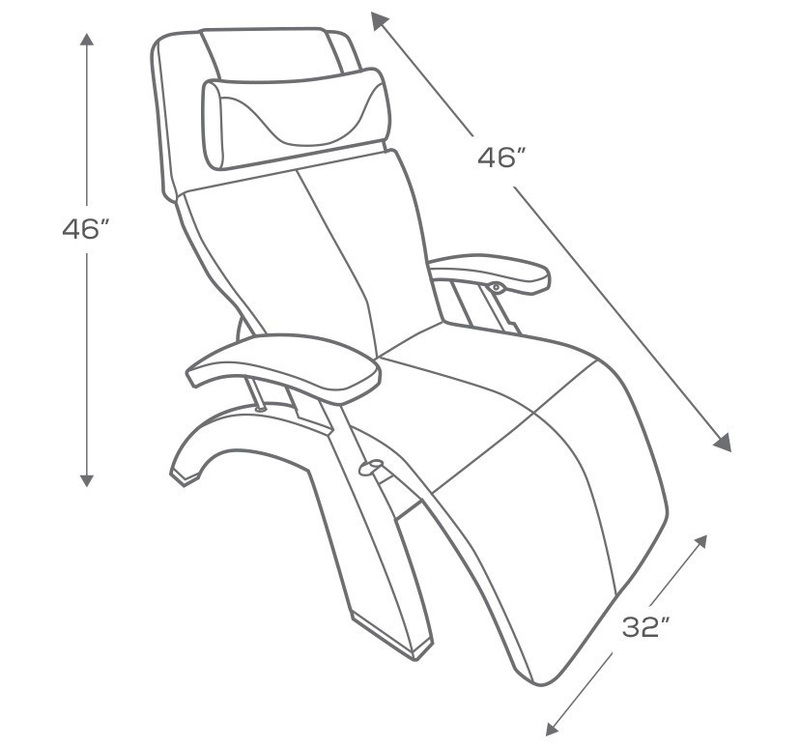 Extra wide legrest provides maximum comfort. 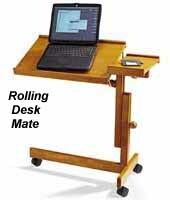 The hand carved and finished base is pleasing to the eye, and constructed for years of use. 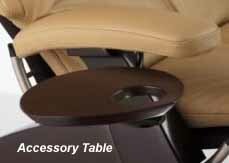 The brake control system is easy to use and extremely reliable. Wedge-shaped, adjustable headrest cushion provides comfort for your head and neck. 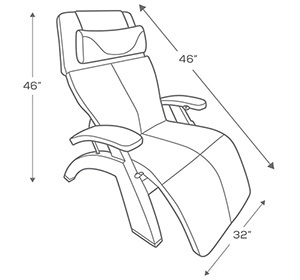 The adjustable headrest feature allows you to customize the optimum angle of comfort to maximize neck support while reading or watching television (Available on NEW and select Refurbished Chairs). Exclusive guide rail system for smooth recline motion and position control. 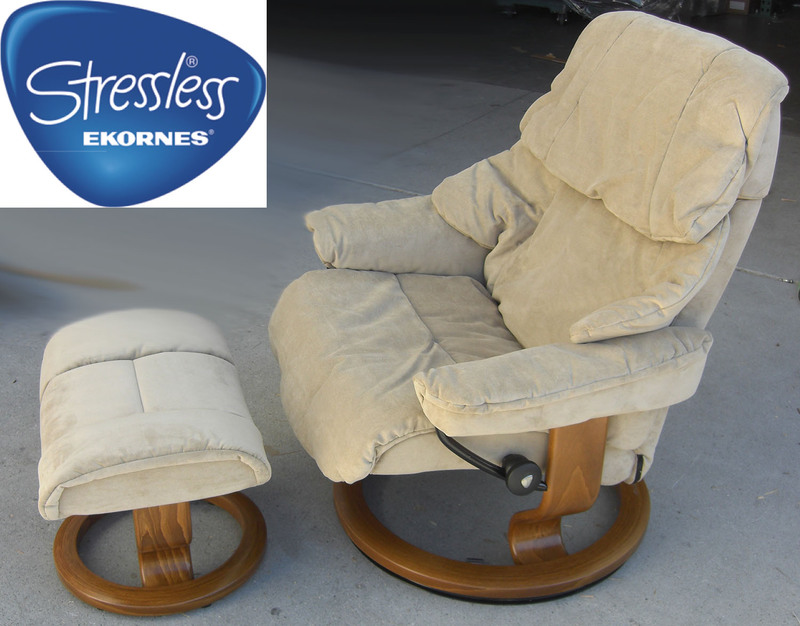 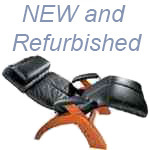 Refurbished Chairs include a manufacturer's 90 Day Parts Limited Warranty*. 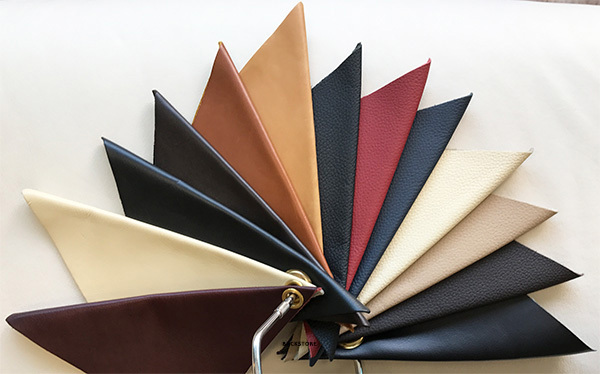 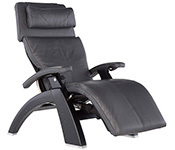 New Perfect chairs include a manufacturer's 3 year limited warranty*. Brand new Series 2 PC-600 Silhouette Omni Motion Power Perfect Chair Recliner, Series 2 PC-610 Omni Motion Power Perfect Chair Recliner, Series 2 Classic PC-500 Silhouette Power Perfect Chair Recliner, Series 2 Classic PC-510 Power Perfect Chair Recliner, Series 1 Classic PC-075 Silhouette Power Perfect Chair Recliner and Series 1 Classic PC-095 Power Perfect Chairs have a folding footrest to allow easier entry and exit from the chair. The Newest Series 2 PC-600 Silhouette Omni Motion Power Perfect Chair Recliner, Series 2 PC-610 Omni Motion Power Perfect Chair Recliner have a 5-Way Controller to give you maximum control of your Perfect Chair experience. With the New PC-600 and PC-610 you can now control the footrest independently of the backrest to give you even more positional control. 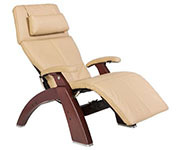 See Pictures Here.